The 15th held a lot of promise, but would go down as a bust. The day was not friendly to a chaser without technology, had I had half the equipment that a US based chaser has access to I would have scored supercells. A unique weather set up was unfolding for the 15th. A very large cold front, in fact the strongest all year was moving through SE Australia. In Queensland was a coastal trough well ahead of the front. Very moist winds direct off the tropical Coral sea were forecast to develop. With adequate wind shear the day was sure to produce severe storms. To explain the 15th I must start with conditions on the late afternoon of the 14th. The 14th saw CAPE values around 2000 j/kg in SE Queensland, but a very strong cap held off all storm development. As the day wore on very moist NE winds penetrated further and further inland. At the historic town of Childers I measured a surface tempertaure of 30C ( 86F ), with dewpoints around 12C (54F) at noon, but by 4pm dewpoints were approching 19C (69F). By dark at my motel in Maryborough the sky was overcast and the lower 100mb of atmosphere almost completely saturated. My instincts told me that with the approaching upper trough that storms were possible overnight. At 7am I awoke to a rumble, at first I thought it was a truck, but 30 seconds later another rumble confirmed that it was indeed thunder. I am not a fan of morning storms and although this was not your usual run of the mill morning storm, it was none the less a difficult chase. The sky was very messy with low cloud streaming in from the north. This low cloud hid the storm structure. It was hard to make out where the core of the storm was. 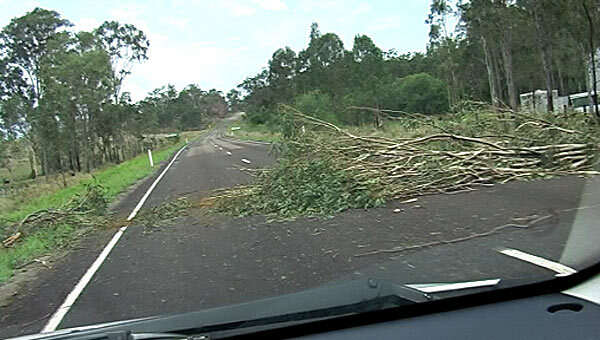 I headed slighty east of Maryborough and by navigating towards the strongest lightning, into the core of the storm. I experienced brief severe wind and small hail. 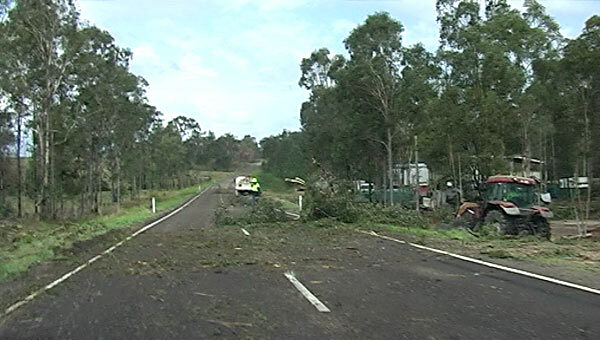 Earlier in the morning the same storm had wrecked havoc about 75km to the NW, producing hail to baseball size unroofing sheds and faling trees - a supercell a 6am is rare in Australia. The storm gradually weakened leaving behind an overcast day. It was one of those days where you could not see structure and without technology to aid I made some fatal errors. I headed west seeking sunshine, but was turned back as dewpoints were falling slowly the further west I went. I should have realised that at 15C (60F), the dewpoints were still adequate to start convection. Instead I turned back east. Around 3pm the cloud started to clear revealing a massive anvil. I trained my binoculars towards the NW, but could not see any base even at the extreme horizon. I was later to learn that a single large storm had developed 175km to the NW and in the strong shear the anvil was almost 250km long. The anvil shade ( and sinking air ) effectively shut down convection downstream. I headed for some cells that exploded right on coastline near Brisbane, but was too late. 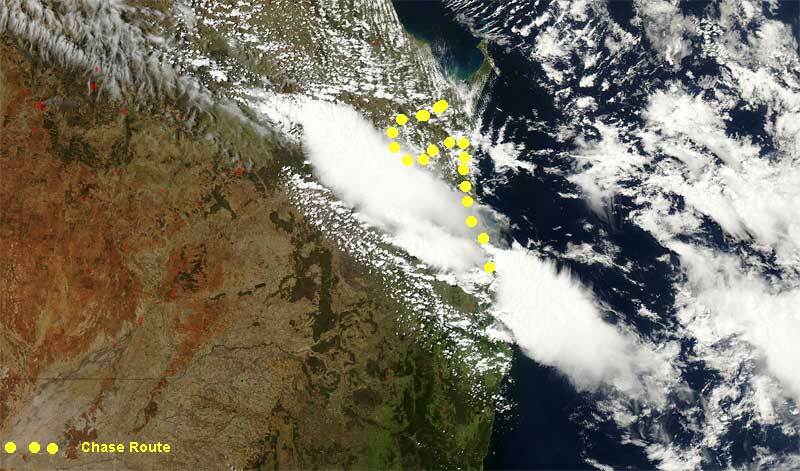 The MODIS picture below shows these storms. Therefore on a day of over 3000 CAPE and strong shear I busted.